First Wicket Bingo: DA Payne. I'm feeling hopeful. 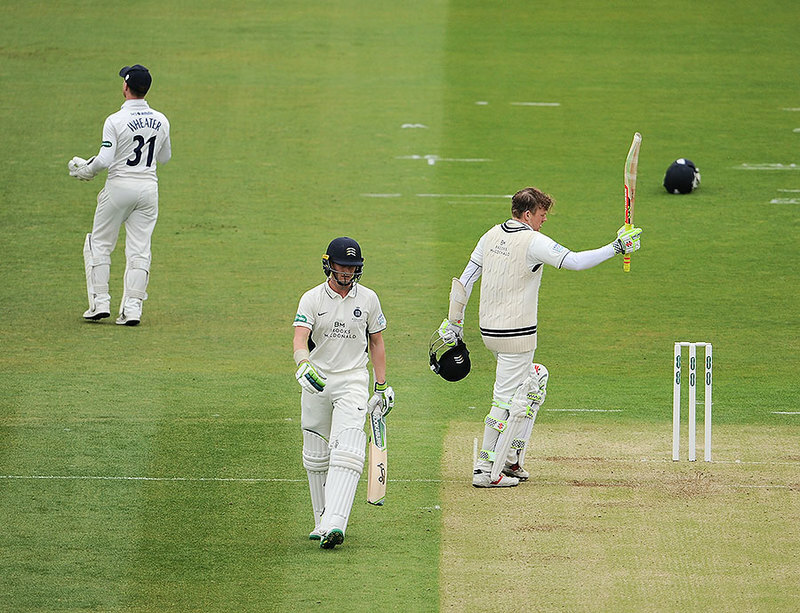 Lancashire County Cricket ClubWatch all the action from the opening day at Emirates Old Trafford where 18 wickets fell on the opening day between Lancashire and Somerset. StaggerBreaths - It is a problem would need to be a penalty of the person controlling the surface, if anything non results pitches are holding Middlesex back. Or fine the ground's owners, that might work. But would the ECB have the gall to threaten the mighty MCC, defenders of all that is good about the game? Eh. I mean you're not wrong. The trouble with Middlesex is that they don't own the ground. I bet they've tried to pressure Mick in the past for results pitches to no avail. So you're punishing the club for something they can't really control. Basically somebody needs to take Mike Hunt quietly out behind the woodshed. 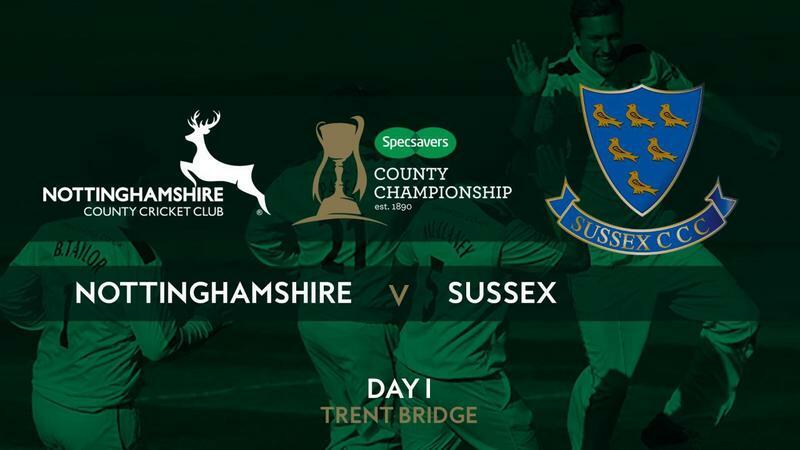 Riki Wessels scored exhilarating career-best knock of 202 not out as Nottinghamshire tucked into an inexperienced Sussex attack. I'm definitely more of a Middlesex supporter than a Durham one in how I go about my day-to-day. ???? Doesn't mean I have to like it. Gubbins doing his bit to portray (long-form) cricket as a sport by the elite for the elite, which is of course exactly what we want given the popularity issues that format has. Gubbins had read the Giles Clarke Guide to appearing to come from the right sort of family, just make him England Test Captain now and be done with it! Morning all. A couple of Somerset wickets and a century from Hameed are my wishes for today. Quite happy for Hampshire to rack up as many as possible! Because of time lost to bad light yesterday, today’s schedule has been extended to 104 overs, with lunch at 1.10pm, tea at 4pm, stumps at 6.30pm. News on Steve Magoffin, who was off the field for half of yesterday’s overs after taking 5-51 is that he hopes to bowl in the Notts second innings (assuming there is one). He is playing in this game after missing Sussex’s opener with a knee injury and he felt some soreness in it yesterday. Good morning. Hopefully another good day's cricket. Nick Gubbins with an early contender for best piece of business sport crossover b******* of the season with "You're not looking at outcomes - you're purely looking to face as many balls as you can in the early season," said Gubbins. I've watched the video Hoppsy, don't fret. ???? at Gubbins in his suit. Good morning all! Another perfect day for April cricket, at least down south - by which I mean enough cloud cover to get the ball swinging like three people copulating in a kids' playground (don't think about that too hard), without actually raining. We have some wonderful county reports for your enjoyment today - just what you would expect from the site named County Website of the Year for five years running. Please click happily away and help protect our coverage. Social sign-ins are working on all browsers on both computers and mobile phones. They remain unresponsive, however, on the ESPNcricinfo app. We apologise for this shortcoming.